Spring is here, and it’s time to revel in the annual display of cherry blossoms. 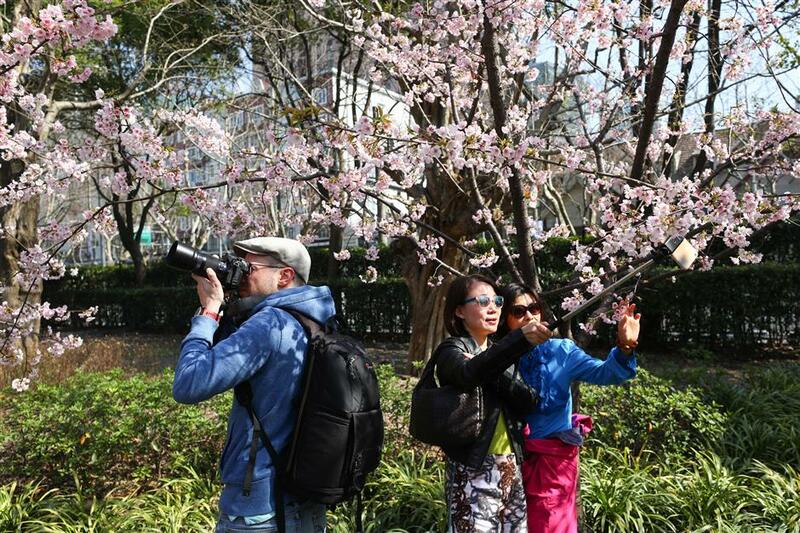 Jing’an Sculpture Park has turned into a sea of pink as cheery trees bloom, with a 100-meter-long lane tunneling through the flowers. Currently, Kawazu-zakura cherry blossoms are in their peak. The popular Yoshino cherry trees should flower in early April and last two weeks. The park is from 6am to 9pm, from November to April, 5am to 10pm from May to October, and there is no admission fee. 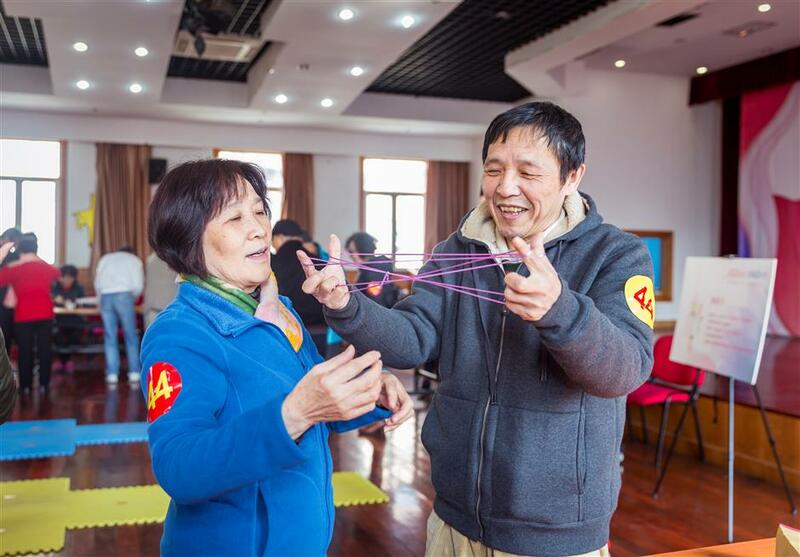 A group of foreigners gathered at a grassroots cultural center in Pengpu Town earlier this month to celebrate the traditional Chinese Lantern Festival. Samba dancers from Brazil performed at the event, and local residents showed overseas students how to make the holiday favorite tangyuan, or glutinous rice balls wrapped around a sweet or salty stuffing. To add some exotic flavor, they even tried replacing the traditional sesame paste filling with chocolate. 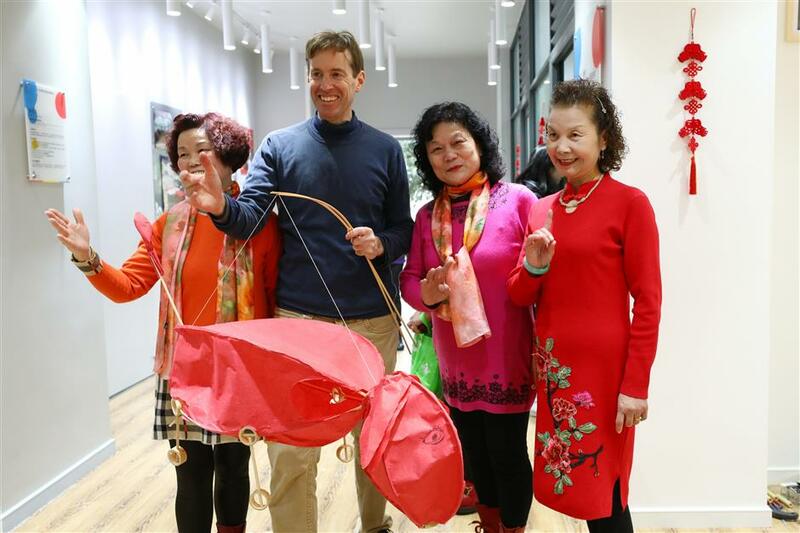 Artist George Kaye, from New York, designed a dog-shaped lantern to celebrate the Lantern Festival and also mark the Year of the Dog. He used bamboo and red paper to craft the lantern. 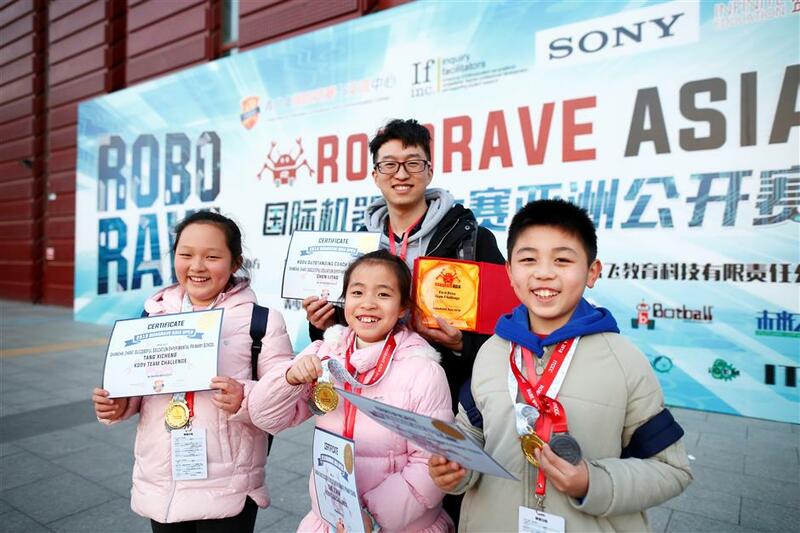 Five students from Zhabei Success Education Experimental Primary School won the Roborave Asia 2018 contest held in Beijing. First-grader Yu Junxi and fourth-graders Tang Xicheng, Zou Xize, Zeng Zichen and Zhu Ruijin stood out from among 1,500 Asian primary school students competing in assembling and controlling robots. Roborave Asia is branch of RoboRAVE International, a competition for teams of school-aged children founded 15 years ago in the US. The Yonghe Ercun residential complex in Pengpu Town has turned an abandoned area into a solar-powered e-bike shed. Some 120 solar panels have been installed on the 265-square-meter roof of the shed, which has 102 bike-parking spots. The solar panels are expected to generate 30,000 kilowatt-hours of power a year. It costs 1 yuan to charge a bike for four hours. According to the local government, the project will be expanded across the town. Today’s children like to play electronic gadgets at home, but their parents and grandparents remember the days when play involved outdoor games in the longtang, or alleys, in old shikumen neighborhoods. To revive that memory, the Caojiadu Community organized a series of traditional longtang games, including hopscotch, kicking the shuttlecock and rubber band skipping. The center will include studio sets, production facilities, specialized workshops apartments and hotels. It will focus on film and television, digital content and creative design work. 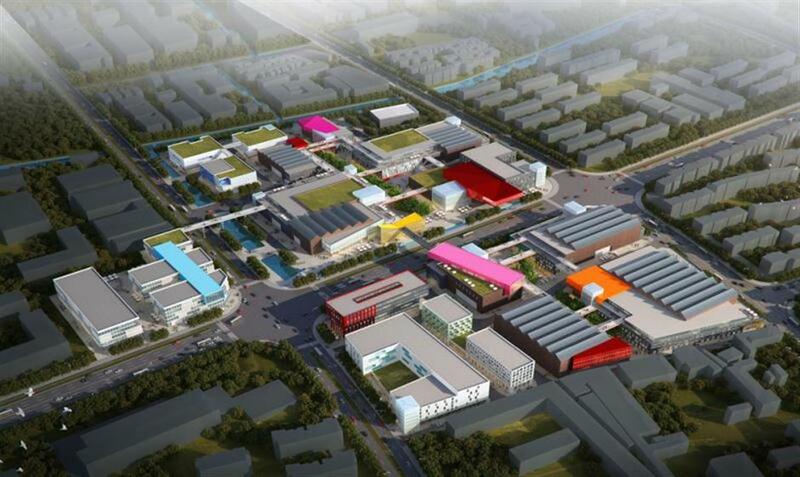 The project is being jointly developed by the district government and the Shanghai Media Group. A cross-cultural fair showcasing China’s water ink art and Indian mehendi, or body art, was held this month in the Jing’an Cultural Center. It was sponsored by the Consulate-General of India and the Oriental Danology Institute. After the fair closed, a multimedia music show entitled “Botanical Sutras: The Blossoming of Sanskrit” was presented in the center’s theater. 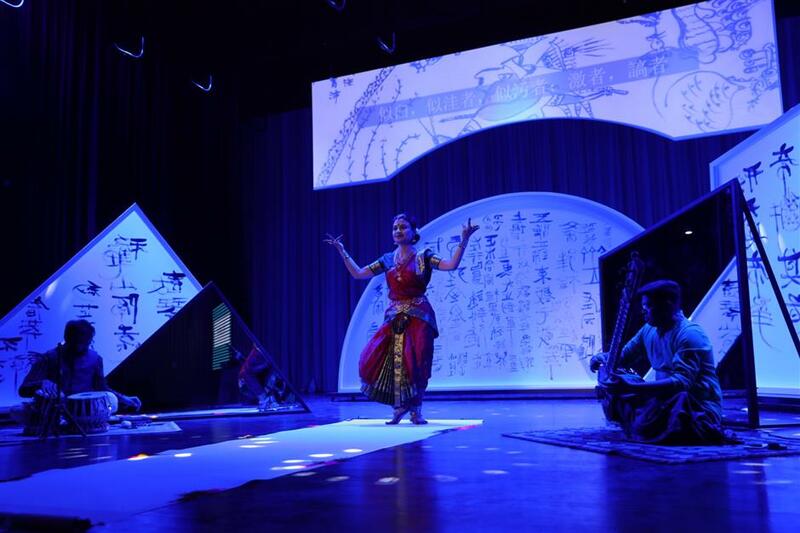 “We used music and drama to tell a traditional India story, which showed similarities in our cultures,” said Li Jingjing, co-founder of Oriental Danology Institute. 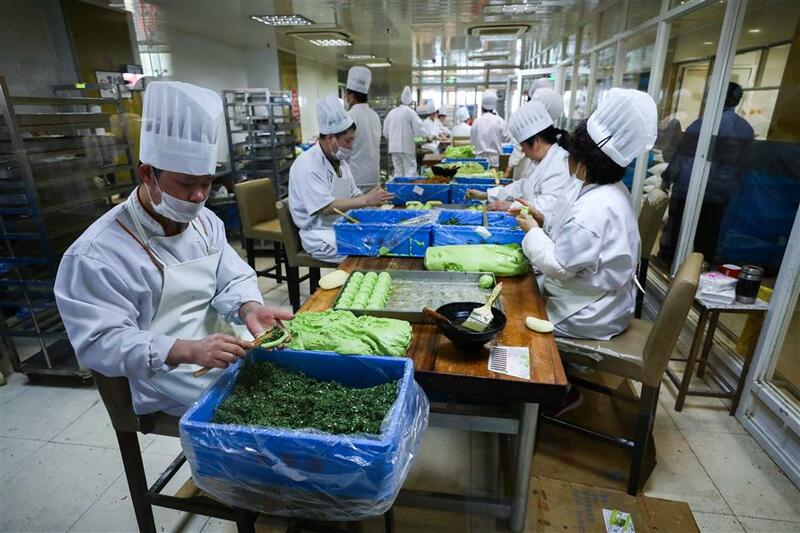 With the April 5 Qingming Festival nigh, time-honored Wangjiasha eateries are busy making the traditional festival food qingtuan, or green rice balls. They are made with mugwort juice, glutinous rice and sweetened bean paste. Wangjiasha’s flagship shop on Nanjing Road West is expected to sell 2.5 million qingtuan in one month.